The Peoples Democratic Party (PDP) has said that the fears expressed by the former Minister of Niger Delta, Elder Godsday Orubebe, in his open letter were no longer obtainable in the repositioned PDP. 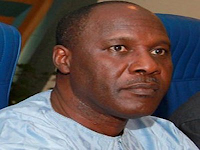 PDP in a statement signed by its National Publicity Secretary, Mr Kola Ologbondiyan on Tuesday in Abuja described Orubebe fears as misplaced. Former minister, Elder Godsday Orubebe, was rather misplaced as the issues contemplated in his open letter are no longer obtainable in the repositioned PDP. Ologbondiyan reassured that repositioned and rebranded PDP platform remains the best political vehicle to return Nigeria to the path of good governance and national unity. He said that PDP had been aggregating opinions of its members and Nigerians at large on the way forward. Ologbondiyan added that the party had since perfected a level playing ground “as no individual or group can claim ownership or control of the party under” the present leadership of PDP. “It is also obvious to all, that our great party, under the leadership of Prince Uche Secondus, has since been thrown open to all Nigerians for equal and unhindered participation. “This is a development that has led to the renewed interest of Nigerians on our platform as the only true vehicle to return the nation to good governance. Ologbondiyan added that the PDP was also receiving new members from other political parties. He added that the party would soon commence an online registration to capture the old, new and returning members with equal rights, opportunities and privileges. “It is imperative to inform that with the proposed membership drive through the online registration, it is certain that the party is being returned to the people, whose financial contributions would make them the true owners of the PDP. He added that PDP leadership were now working together more than ever before, to rescue Nigeria from misrule. Ologbondiyan urged all members to continue to propagate the ideals of PDP. He also urged Nigerians to engage only in activities that promote unity and the tenets of democracy in line with the vision of our founding fathers and the overall interest of our dear nation. “Today, Nigerians across board are waiting on the PDP to navigate our collective quest for a return to good governance, national cohesion and economic prosperity and we cannot afford to disappoint them. Orubebe in his open letter to Secondus, has said that the PDP wa suffering from a post-traumatic stress disorder and would need sustainable ideas to bounce back to reckoning. He said the party is now under the control of certain individuals, who are exhibiting “dangerous levels of undemocratic behaviours”. “PDP is still lost in depression and suffering from a post-traumatic stress disorder (PTSD),p the platform has crossed the bridge from pride to shame,” the letter read. “We have gone from a party of pride to a party of shame and gradually receding into the abyss of political reality. ” For the simple reason that the nation is witnessing calls for the rise of a ‘third force’, we are fast becoming a shadow of ourselves. ” One of the biggest challenges that the PDP faces is balancing its needs for funding with established egalitarian values and internal systems. “If the party continues to be held hostage by few major donors, it will continue to find it difficult to instil the values that will endear us Nigerians,” Orubebe said.